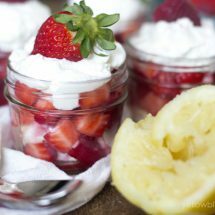 Sweet berries layered with fluffy angel food cake and sweet and tart homemade lemon whipped cream. 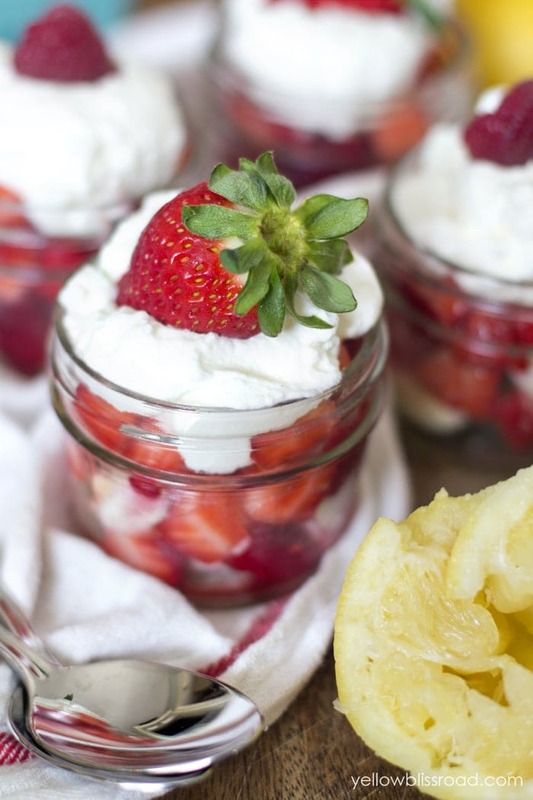 A perfectly light dessert for Valentine’s Day or any day. 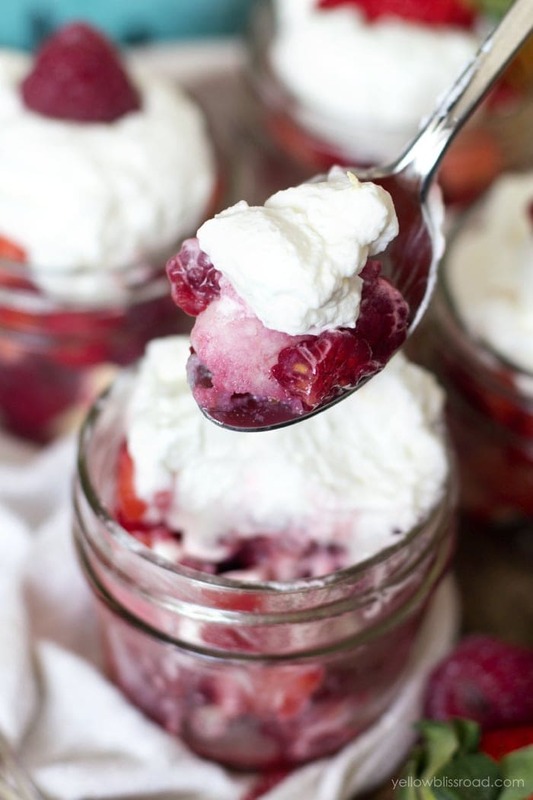 When I was little, strawberries with whipped cream was a favorite treat. We often would add some kiwi as well, and to this day I still love that combination and it takes me back to those sweet childhood days. When Real Seal asked me to come up with a Valentine’s Dessert featuring Real Seal approved dairy products, immediately I thought – whipped cream! There is nothing like fresh, homemade sweet whipped cream. It’s not your typical run of the mill canned variety whipped cream. This stuff is rich and creamy and light and fluffy. The dairy industry four decades ago created the REAL® Seal. It’s an assurance that you are buying a genuine dairy product, made with milk from cows on U.S. dairy farms, and meeting strict manufacturing requirements. 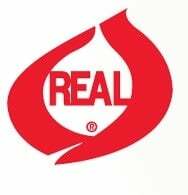 When you see the REAL® Seal on a dairy product or in a store or restaurant, you can trust it’s the real thing, and not an imitation. 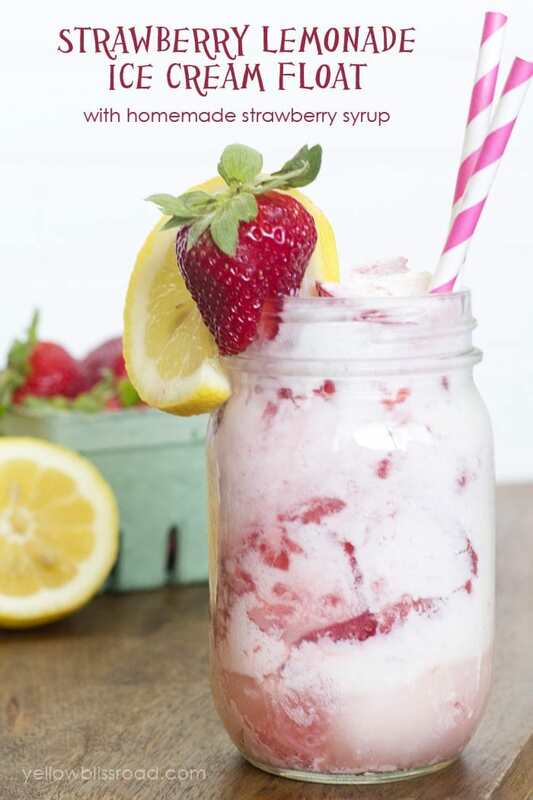 You can flavor it a variety of ways – chocolate, berries, orange, or my favorite, lemon. 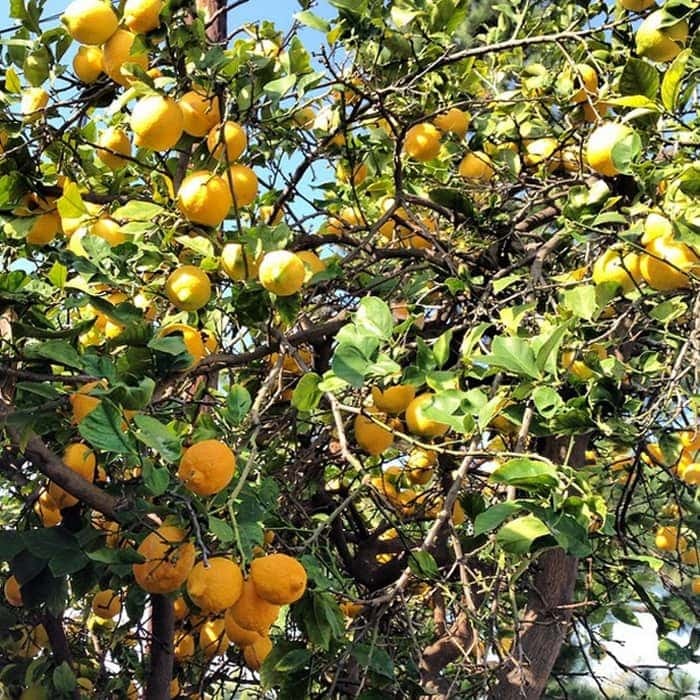 If you follow my on Instagram you may have seen this photo that I shared last week of my lemon tree that is positively overflowing with lemons. I picked a huge basketful, probably at least 60-70 lemons. And then I proceeded to create four new lemon recipes. Here’s the first: Lemon Whipped Cream. Making your own whipped cream sounds a lot more difficult than it is. All you need is a stand mixer or a hand mixer and your good to go. The most important this is to start with a COLD metal bowl and COLD beaters. This will help keep the whipped cream cold and will result in a much better finished product. You can use a glass bowl as well but they don’t tend to retain the cold as well. Beat a cup of heavy whipping cream until there are peaks forming and then add some powdered sugar. 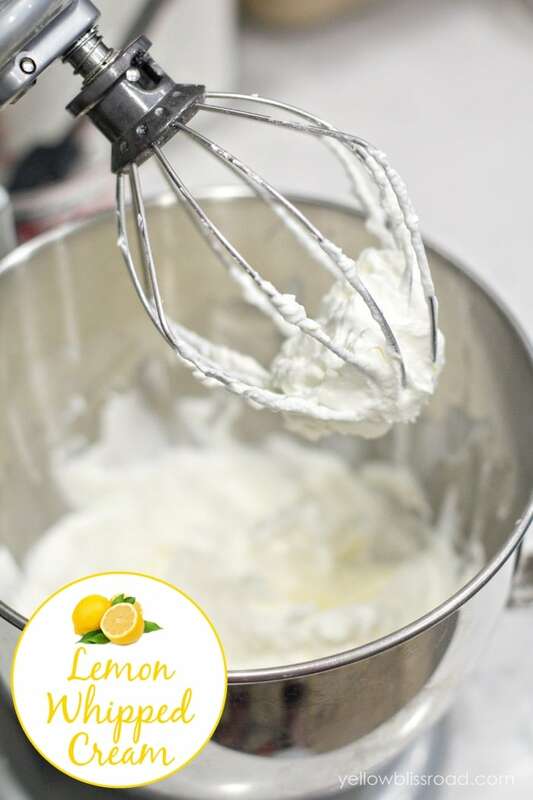 You could easily stop there and have a delicious whipped cream, but why not kick it up a notch and add a splash of lemon juice and zest. Beat a little more to incorporate and when you have astiff cream, you’re done! 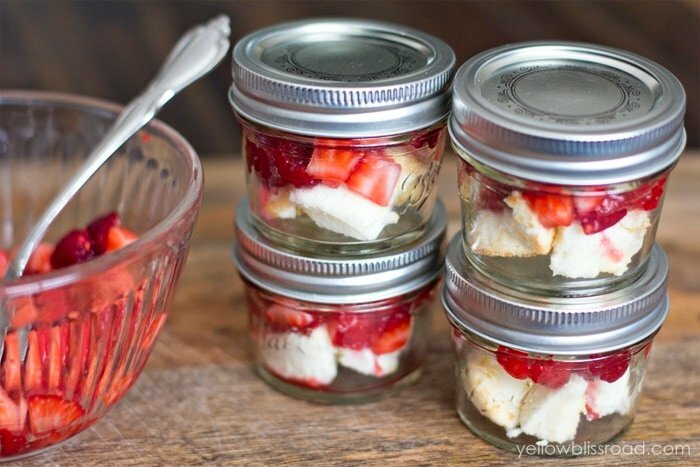 To make the parfait, layer in a clean jar (I used 4 oz. 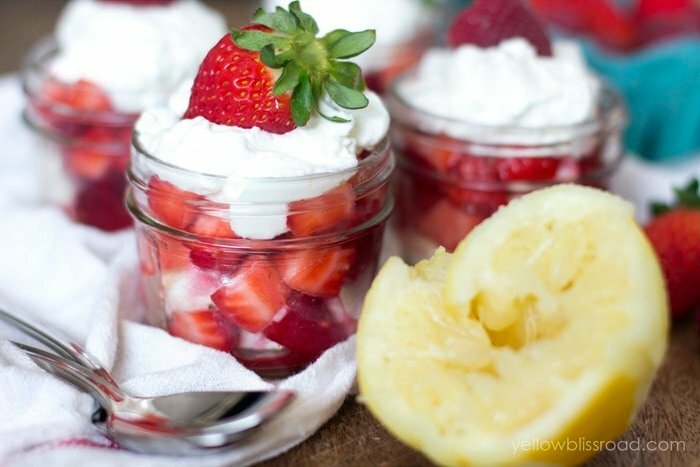 mason jars) chunks of angel food cake, chopped mixed berries (sprinkled with sugar) and lemon whipped cream. 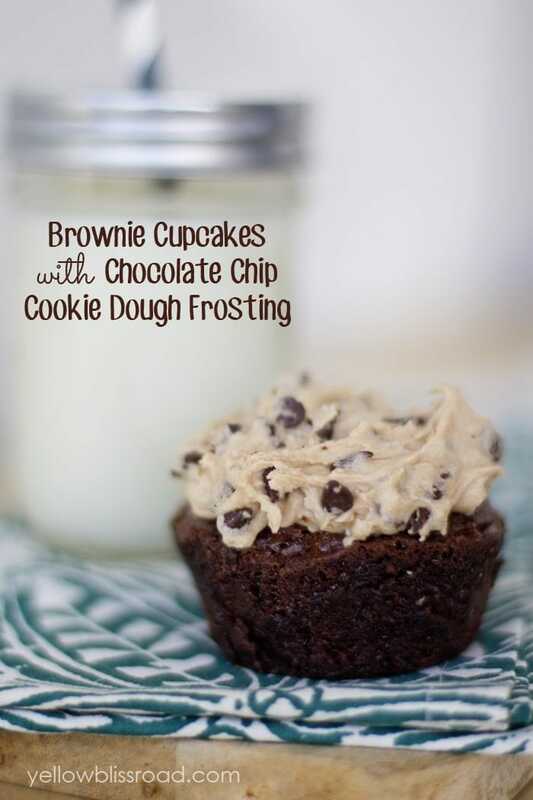 These can even be made in the morning and stored with the lids on until it’s time for dessert. The longer they sit in the fridge, the more the angel food cake will absorb the juices from the berries and become more and more delicious. The bright red color makes this a perfect Valentine’s dessert! Place a metal or glass mixing bowl and beaters in the freezer for 15-20 minutes. Beat whipping cream on medium high speed until stiff peaks form. Stir in lemon juice, lemon zest and powdered sugar until stiff peaks form. Taste and adjust sugar and lemon juice as needed. Cut or tear angel food cake into small pieces. 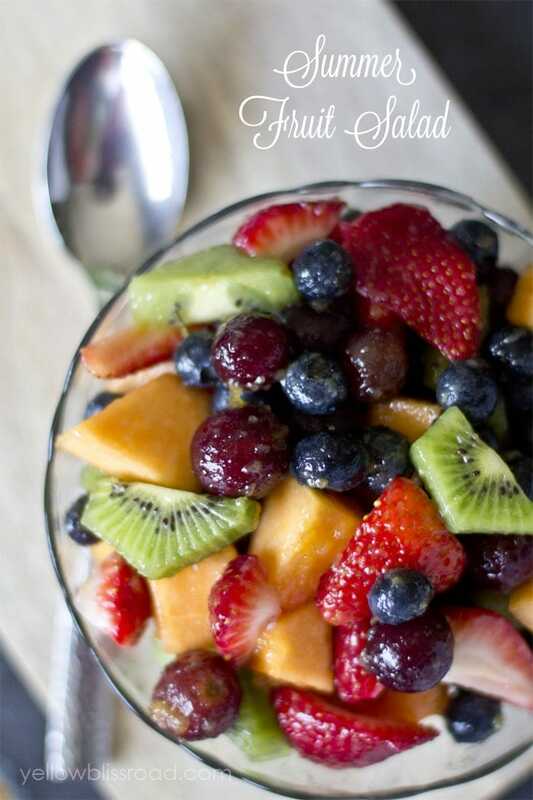 Chop berries into small pieces, sprinkle with granulated sugar and stir to combine. In a 4 oz. or 8 oz. 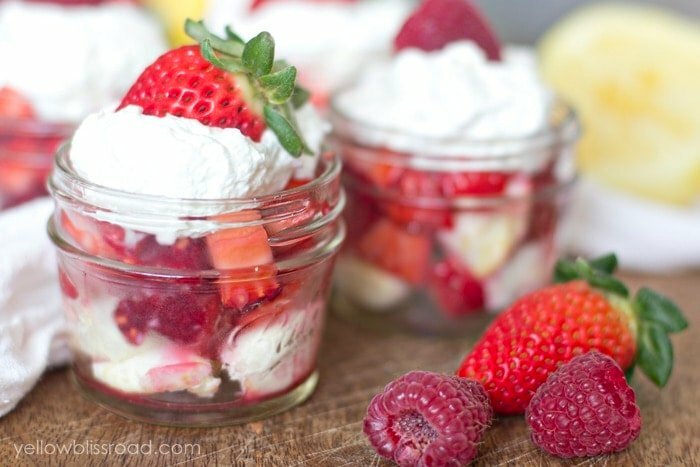 mason jar, layer chunks of angel food cake, berries and lemon whipped cream. Seal and store in the fridge until ready to serve. Can be stored up to 24 hours. The longer they sit, the sweeter and juicier the berries will be. This post was sponsored by REAL Seal, but all opinions are 100% my own. Be sure to look for the Real Seal when shopping for dairy products, like the milk and butter used in this recipe at your local grocery store. For all desserts, go HERE and for a complete list of recipes, go HERE.